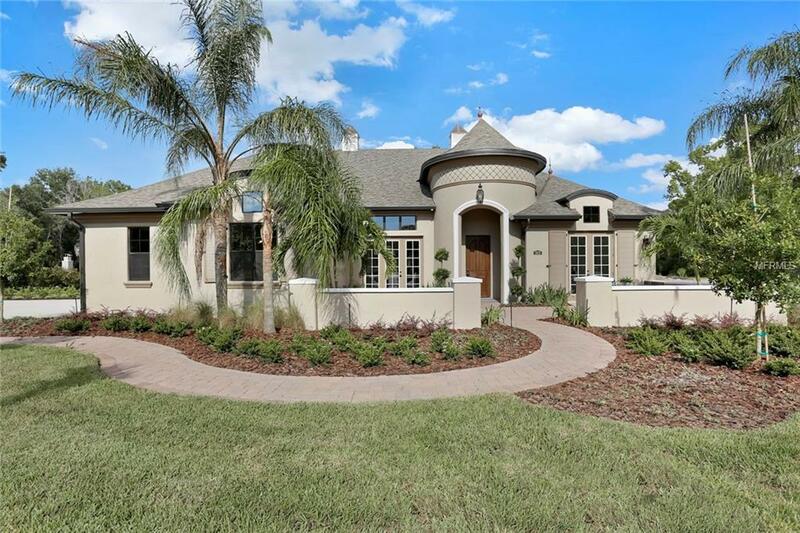 NEW CONSTRUCTION: STEINBRENNER SCHOOL DISTRICT Adobe Homes Armand II open floor plan featuring "Laurent elevation with 3951 sqft, heated Pool/Spa including pavered lanai, 4 BR/3.5 Baths on 1 acre lot in the Gated Community of Magnolia Farms. This facade features a round turret entryway accented with latticework, and roof which is capped with copper-finished cupolas; shutters, transom window, and stucco exterior, and pavered front courtyard, finish off this charming French-Country styled Cottage. Large gourmet kitchen with over-sized island includes Upgraded Cabinets, Quartz Counter-tops, Stainless Appliances with 6-burner Gas cook-top, Oil Rubbed Bronze fixtures, Wine-Cooler, Upgraded Square-Wood Hood, Pot-Filler, Porcelain Farmer sink. Master suite includes on-suite bath, double vanities, Wet-Room with free-standing tub, Rain-Shower, seamless glass enclosure, Quartz Counter-tops, tile throughout. His/Hers Walk-In Closets w/Custom Cabinetry. Security System + Smart Home Features. Pre-Wire for Home Music Package. Upgraded Cabinets in Utility Room. 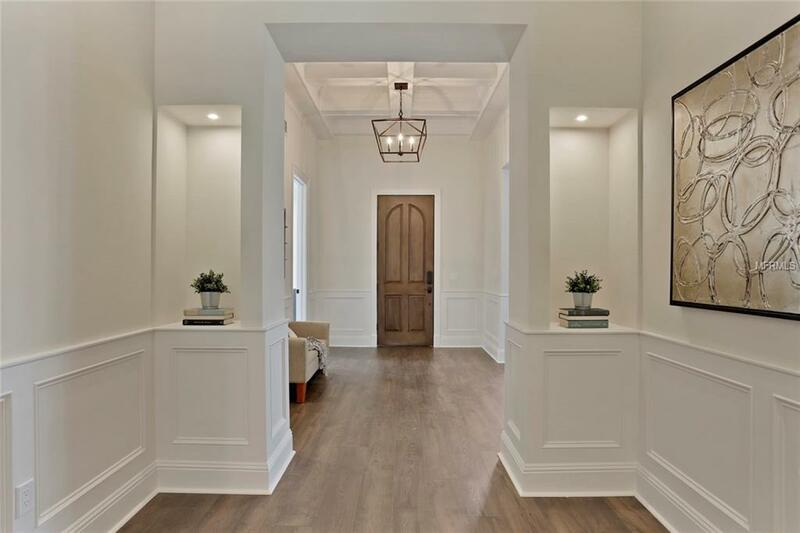 Outdoor Kitchen, Crown Molding, 7-1/4 base boards in Common Areas, 5-1/4 in Bonus Room and Bedrooms, solid-core doors, tongue and groove on outdoor ceilings, irrigation, extensive mill-work and beams, double pane windows, Tank-less water heater. Straight-A-School District. 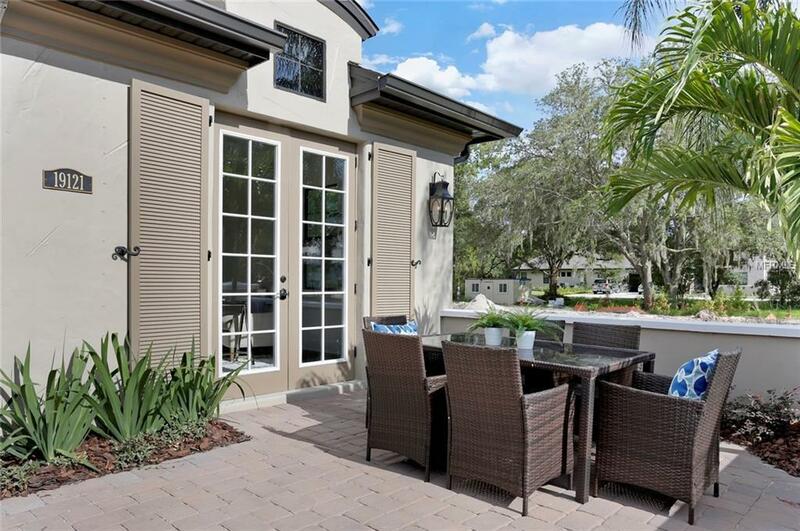 Easy access to major roads: Veterans Expressway, Gunn Hwy., Publix. St. Joseph's Hospital all 15 min., Tampa Premium Outlets 20 min., and TIA 30 min. away.